Street Fighter enthusiasts, we’ve got a fantastic new piece that would be perfect for the game room, mantle, or next to your arcade cabinet. 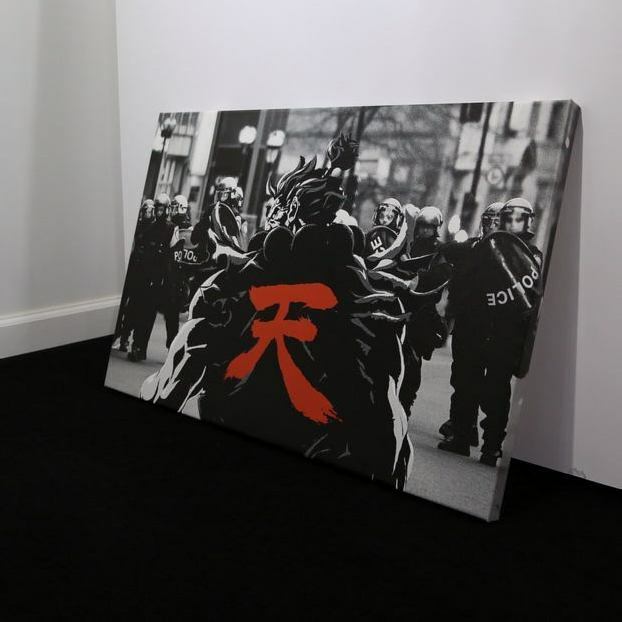 This high-quality, 30″ x 20″ x 1.25″ canvas print boasts the same snapshot graphic of Akuma from the BAIT x Street Fighter apparel line. Akuma’s menacing, demonic aura is captured in this clash of the classic Street Fighter art style and photographic visuals. You can still shop the apparel line on our online store, though the limited Akuma snapshot tee has already sold out.